The ultimate in online beauty retail! 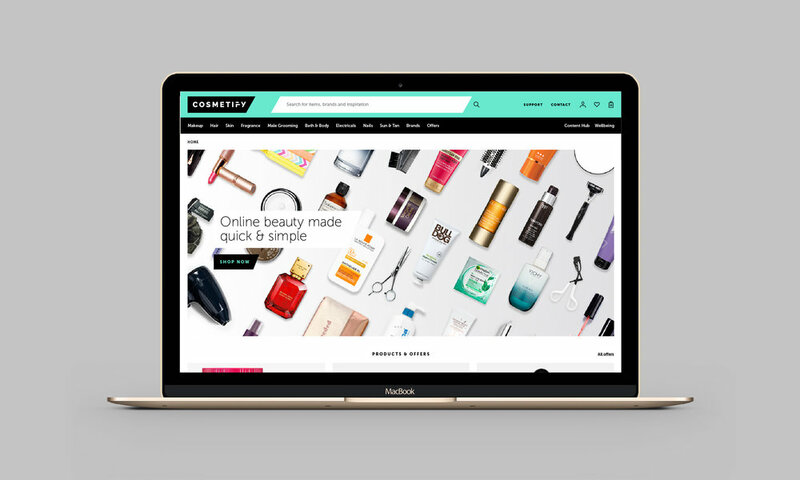 Cosmetify is a new online cosmetics platform that challenges the convention of online beauty shopping. Cosmetify aims to provide ALL products on the market, rather than curated or select lines, together in one place making it quicker and easier for customers to find the exact product they are looking for, and importantly at the best price. A distinctive logotype with bespoke adjoining ‘FY’ typography represents simplification and speed of the Cosmetify process – providing customers a quicker and simpler method of finding the products they are looking for. The logotype is housed within a directional black lozenge to mirror the path of the typography, further communicating brand messaging around simplicity and speed.